Magestore presents: Magento POS Systems Comparison Chart – Everything you need to know about them in one place. There’s no denying the benefits of a good Point-of-Sale system and a Magento omnichannel system. However, choosing the right system and company to bring them together to work for your business is no easy task. How can one quickly make sense of different systems and see their benefits? One of the ways to solve this problem is to create a comparison chart. This chart presents different Magento POS systems side by side, to see the goods and drawbacks of each provider. And Magestore has created one for you so you can save more time and make better decisions! What’s In This Comparison Chart? 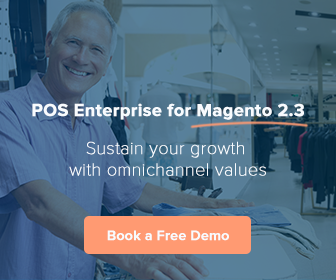 Our Magento POS Systems Comparison Chart features seven POS systems from Magestore, BoostMyShop, Ebizmarts, ConnectPOS, Webkul, MicroBiz Cloud, and Quickbooks POS. These POS solutions are quite ambitious, offering variety of features to help checkout and other aspects of your business. Some of them focus on the in-store experience, while others seek to connect your online and physical stores seamlessly. We made the comparison based on information on the companies’ websites and trial versions (if available). Our chart was last updated on July 2018. Their Product: Is the POS solution native to Magento? Which Magento version is supported? Who uses this system? How much does it cost and are there hidden costs? The Company: What is the policy on customization or refund? Is support available in case you run into trouble with your purchase? Design: Does the POS interface look good? Is it easy to use? Does it support touch gestures? Can you change the language and currency of the system to fit your region? Security: What are some of the fraud prevention measures of each system? Compatible Hardware: For in-store checkout, you’ll be looking at barcode, receipt printer, and especially cash drawer. How can you checkout with each system? Do you have to look up items or can you use barcode? Can your customers register for an account? What are the discount rules? How can your customer pay for their orders and how can you accept their payment? Can you customize your receipt and print them with ease? Does the system support return & exchange? Can you use your system without the Internet? How can you manage your catalogue from your POS? Is it integrated with loyalty programs to keep your customers coming back? How can you manage your staff and cash drawer? Can you generate reports to keep track of your business performance? What Isn’t In This Chart? Here are some of the things we did not include in our comparison charts. You should also take these points into consideration when choosing a Magento POS system provider. How fast is the system? Depending on your business, your POS might need to handle a large database. Ask the provider about their system’s capacity. For example: Magestore’s POS can handle up to 100,000 orders and 100,000 customers. It takes one second to look up order, one second to look up customer, and a total of ten seconds to complete checkout. Different systems might already have integration with CRM, accounting, staff management, or other software. For example, Ebizmarts is compatible with SurveyMonkey. This lets customers take a short survey at the end of their purchase. Are these companies trustworthy? Customer reviews and testimonials are usually the best indicator. Most providers will feature testimonials on different sections on their site or on a separate page. Make sure to check them out! Forums and reviews on other websites are also a good place to check if a company is reliable. A POS system may have a lot of features and get raving reviews on the Internet. But that doesn’t mean it’s going to the perfect system for every merchant. Instead of choosing the “best POS out there”, you should look for a POS solution that works best for you. What is the role of POS in your business? Where does POS fit in your business? Think about the purpose of your POS. Do you use it only for checkout? Does it need to connect to the Internet? Does it connect your online and physical store? Do you need to check stock on it? Defining the role of POS is a good step in working out what to look for when comparing providers. How is your current system? Are you already using a system but want to switch? What are the things that it can and cannot do? Also, is it possible to integrate the POS system with other softwares you’re using? Think of the last time of you have a big sale and note down how your system can be improved. List out some of the actions you want automated. For example: order amount automatically shows on payment terminal, quantity automatically updates into the inventory system etc. Which POS system is popular in your business vertical? What are some of the features your competitors have? What do customers expect from you? For example, fashion retailers need a system that can create product with many attributes like size, colors, or materials. Or customers might ask to pay with EFTPOS or if you have loyalty programs. What are the key metrics of your business? Identify your important metrics so you can monitor them. Some of the metrics might be: Conversion rates, sales count, average transaction value, profit margin, or gross margin return on investment. Does your POS system have the data and analytics capabilities? Do you have language and currency requirements? Does your country have specific rules for taxes that might affect the POS’ operation? Where do you see your business in six month? One year? Five year? Can your system support expansion and growth? How much should you spend on your POS system? How much can you spend? Do you have in-house developers? If a system is hard to install, you might consider installation service. In addition, what is the workflow of your staff and of these providers? This will affect the time it takes to train your staff to use the system. Run the numbers in your business and answer the questions above. Work out what you want and what you really NEED from your POS system. Compare your answer and our checklist: What are the features that these companies offer and how much it costs. Checkout the reviews for the providers: Once again, to see how reliable they are. Contact the providers & test their solution: Get in touch with the Magento POS system provider and request a trial/demo. Come prepared with your business statistics and questions about their solution. We hope this checklist will be helpful for you in your journey to find the right POS system for your business. Happy exploring!